Being cheerful is an important professional trait. Everyone loves cheerful colleagues. However, spreading smiles is a serious business. It is not easy. Before we can disburse sunshine, we need to nurture the Sun within us. For only when we are happy from within, can we spread happiness. And to be cheerful from within, we need to be alive first—in a deep connect with our true self. The above observations are part of my belief system. And this blog is my endeavor to validate my premise. I first met Preity Zinta at a friend’s party last year. She was sitting with a mutual friend. There was a kind of informal peripheral queue around her. I am not good with queues. But my friend summoned me over. So I sat down to chat for a bit. A bit became quite a bit. She spoke about movies, cricket, and the safety of women. I spoke about IT, IT, and IT. Then we both posed for my friend’s camera. She had an un-sipped glass of wine that she had been holding all evening. She hid her hand for the picture. I was unsure what I was supposed to do. So I hid my single malt as well. If a celebrity is doing it, then perhaps it’s the right thing to do. The meeting in the Cybage boardroom had mostly one person talking. Her. A prospect should be given a free field to talk, the CEO in me has learnt along the way. The discussion rolled into the wee hours of the afternoon. I extended an impromptu invitation for lunch at my place. As we left for home, I noticed the fountains near the main office entrance were unusually crowded. Scores of Cybagians were ‘casually’ strolling around the place. How they figured out she was around will remain a mystery to me! Lunch that day was regular home food. She was easy and appreciative. Before leaving, she sneaked a peek into the kitchen to thank the house staff. A week later, the Kings XI Punjab CEO visited the Cybage offices, and shortly thereafter, we became the franchise’s technology partner. Over the next few months, Preity and I took a back seat as the technology and operations teams on both sides took over. She did visit Pune once in between, and we caught up. She did most of the talking, again. I learnt of her foray into Bollywood by a pure accidental audition. It is a story she must have repeated a zillion times, but each time she does it with the passion of a first-time narration. A day before the IPL auctions, I, along with the Cybage technocrats, landed up at the venue. The preparatory brainstorming session was exhausting. The evening called for some much-needed unwinding. I decided to skip the IPL party, and hang out with my team in the lounge. Interestingly, Preity too chose her backend team over socializing opportunities with her co-stars. As we walked to the restaurant, there were two unscheduled interruptions. The first time she stopped to chit-chat with a fan from housekeeping, aspiring for a selfie and an autograph. The second time she stopped to exchange pleasantries and introduce me to the heir of India’s largest business house. The two contrasting stops had one thing in common—the quantum of time spent was similar. January 27th. I was the odd one out. Everyone around my table was a heavyweight. Two of my neighbors were scions of India’s top industrial houses. Another one belonged to the all-time cricket hall of fame. But the most intriguing one sat next to me. She excitedly chatted non-stop even as her hands trembled wildly with what she termed as her ‘anticipating energy’. I was bewildered. Hasn’t she been doing this for a decade now? Then how does she still manage to lose herself in the same old stuff? Then something strange happened. As soon as the TV cameras turned on and the hammer signaling the commencement of the IPL 2018 auctions was raised, my celebrity neighbor transformed in a flash. Her hands stopped shivering. She suddenly had a poise befitting a star. The heart-throb of millions was ready to splurge millions with a steady hand! That’s when I realized that my premise had been erroneous. 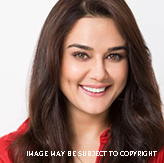 The reason Preity Zinta is always cheerful is because she lives in the moment. She seamlessly adapts to the changing environment around her. From ensuring her customary wine doesn’t go splashing in the social media, hiding her heart-wrenching emotions in front of the competition’s fans, not forgetting to thank the household staff after a meal, prioritizing her time with the backend team instead of partying with the ‘who’s who’ of the entertainment world, to making sure a fan from the hotel’s housekeeping team is made to feel as important as the country’s richest heir, and of course, taming her trembling hands as soon as the camera lights come on—she does it all with a sense of effortless ease. The secret sauce of always being positive is not our ability to connect with our self. Instead, it’s our ability to connect with our surroundings. Human beings are social creatures. When we are connected with those around us, we are alive. And being alive is contagious. For only when we are alive, all our cheerful colors come shining through! Dear readers, what do you think? Which trait is more meaningful—connecting with our self, or connecting with our surroundings? It would be my pleasure to ponder on this question with the most inventive (and brief) commenters over a home-cooked dinner. You have touched on one of the dense topic.It’s like taking blood out of the stone.Everyone may have different views on it. But for me connecting with oneself is more important.Infact connecting with oneself also helps you to connect with others. A person who hasn’t find inner peace will always reflect his problems on others.He/She may take out his wrath on other people.They may be their friend,family members or colleagues.But a person who has accustomed himself will always spread happiness not with himself but also with others because he/she has opened up to a wider space of awareness and connection and has made it a lot less claustrophobic . As you referred Preity Zinta out here,I would like to take a leaf from your blog to depict my views on it.Even after facing so many defeats in the ipl we haven’t seen Preity Zinta roaring or shouting on his colleagues or players for their poor perfomance.This is because she has connected with herself which has made her instictive to the surounding and has created awareness to react more empathically and kindly with others.It is because of these you find her impromptu and usual bubbly self every time you meet her.These self releasing beliefs can’t be purchased,they could only be practised only when one is connected to himself. Our personality traits, attitude and self esteem have everything to do with human relations. It comprise the nutrient rich soil required for human relations skill to grow. Our personality is how we see the world either positive or negative. Without positive attitude it is difficult to relate to others. Positive self image can give us the confidence to nurture relationship. Surrounding always change as change is inevitable. You adapt outside, take your time, adjust, calibrate and bring it to equilibrium. Simple example – Interview for a job, learning something new. Adjustments mean from outside first and then inside. Connecting with our surroundings because if one says that they are not connected with self then that’s untrue because no one knows us better than ourselves which means we are well connected to self. In my humble opinion, “connecting with our surroundings” is the pathway to “connecting with ourself”. 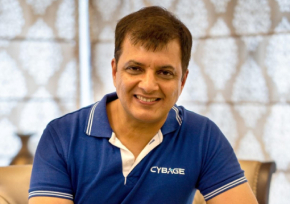 I am really a fan of your blog and never miss an opportunity to read it or listen to what you have to say on Cybage’s Annual Bash! Reading your blog reminded me of what Dr. Wayne Dyer used to say ” If you squeeze an orange, orange juice comes out. Nothing can come out of you that is not in you. ” So unless one connects with oneself its very difficult to connect with the surroundings. You can give to the world whatever you feel inside. If you are happy from within , you will always spread happiness no matter what. The same goes for getting connected with your surroundings. To evolve, one has to sustain and to sustain one needs to adapt. I believe this holds good for all living things. Plants and other species seem to be able to do it instinctively. We, the thinking beings, due to distractions (some of them of our making) find this difficult and have to make a conscious effort to connect with ourselves and our surroundings. The person who conquers or watches ones own mind or self is more at peace and happier than a person who strives to conquer the surroundings or millions of minds. It is important first to master one self. The world follows. “connecting with our surroundings” trait is more meaningful. I think connecting with ourselves is more meaningful since you have to be with yourself all the time. There is no point in connecting with your surrounding when you don’t know yourself well. If you are happy from inside , you will always spread happiness no matter what. Blog close to the topic that resonates so well with my interest area. Very well articulated. As Helen Williams said, “The key to understanding others is to understand oneself”. Till the time I am not aware of myself, my thoughts, my beliefs, my emotions, the effect of those emotions on me and others, it’s difficult to connect with others. Why are solo travelers so happy when they travel? I believe it’s because they find peace within themselves by connecting with their surroundings. As per all the old mythologies, we are made of the universe. So once we connect with our self, naturally we connect with our surrounding as well. ‘Tum itna jo muskura rahe ho, kya gham hai jisko chhupa rahe ho’ – Jagjit Singh. I too had a ‘hand trembling’ Experience as an MBA student, when I had to do Comparing for third time, but for a national conference this time, where dignitaries were invited from all over India. While commencing with welcome speech, my palms started trembling; luckily audience couldn’t see that, but I had to try really hard to make sure that my voice shouldn’t fluctuate, which I did successfully by focusing on the audience ( my faculty, classmates and the juniors who were looking at me with great expectations) and on what I had to do rather than getting nervous of sharing the stage with such experienced Professionals. So I just focussed on my Karma and yes.. got connected with my surroundings!!! I believe, being simple honest and transparent at heart and by nature, makes each trait meaningful that to with effortless ease . So having these qualities in one’s nature makes connecting with our self and connecting with surroundings traits integral part of personality which one can express at the same time with effortless ease. You once mentioned in earlier blog, how can you connect to self without connecting to others! Answer lies there. Connecting to everyone makes you learn to be better self. Cycle goes on! Being connected with yourself means being appreciative of what you are, appreciating it, accepting it and consciously leaving the doubts and unworthiness away. This person is a pleasure to be with. He looks for good in everyone. He shares, appreciates, loves and respects all lives. Its Effortless for him to connect to the surroundings. Animals, nature and people are naturally drawn to him. My 2 cents. >what do you think? Which trait is more meaningful—connecting with our self, or connecting with our surroundings? Connecting with self or surroundings -both is fun. But to be in present moment and have meaningful interaction with surroundings one has to be centered and connected with self. Sometimes when stressed up we do stupid things then we say that “I am out of my mind” actually it should be “I am out of touch with self”! I see our “self” is like a mobile phone:)It has to be always be “charged” (connected with self)so that it can be used for meaningful interaction with surroundings! Also no point in always docking it at charging station or always away from charging station! Often, the idea of knowing, and thereby connecting with our true self, spawns not only false expectations but disappointments where life fails to match our expectations. Similarly, trying to connect with the surrounding may not always come easy. After all, a fish cannot control the ocean in which it swims. So how does one decide to be positive ? I think there may not be a secret sauce. Or, rather, there may not be a perfect choice between choosing self over surrounding. I believe that in quest for either of both, a person invariably understands the other. While trying to connect with the self, one may realize that everybody is so similar to his self while simultaneously being diverse. Such a singularity prompts one to lose the illusion of control, and develop a heightened value system. Maybe that is the reason Preity finds it equally worth her while to thank the household staff, and engage with the housekeeping or big shots alike. Some people simply sing to Que Sera Sera, not fretting to tune in to every ‘frequency’, in or out. Not sweating themselves ‘go with the flow’, but rather ‘be the flow’. Much like a conscious submission. Interestingly, this philosophy is also one of the facets of Sufism. Connecting with our self is more important in first place ,then only we can empathize for others and connect to surroundings. Referring to the example you mentioned of Preity Zinta , the moment she spared time for her fan and her business the quantum of time was the same that shows us her obedience for everyone which roots to her moral values which comes up as we connect to our self and then with our surroundings. Connecting with self is really important as it will help to realise how to connect surrounding. Everyone is different and self connecting will tell who are you before going to surrounding. Connecting with surrounding will come automatically once you realise self. Connecting with self: When you see yourself clearly, with the eyes full of love and acceptance, you hold space for others to meet you at higher self. Connecting with others: It’s rewarding, can be as simple laugh-out-loud on a joke or deep as sharing heart-to-heart talks and emotions. Unfortunately, many of us have almost replaced our face-to-face connections with virtual ones. Only through our connectedness to others we really know and enhance the self. So, in my opinion one should be ‘Ambivert: Both Introvert and Extrovert’ to enjoy the moment of connecting with self and the surroundings! Connecting with yourself is more important as when you know yourself you tend to reflect in your persona the sense of knowing yourself and being happy to be with yourself which reflects in you being cheerful and positive .These traits truly attracts your surroundings and when you are comfortable with yourself you can easily adapt with anyone’s company. As you are aware of what might take you or your mood down and vice versa. Sir, I admire your thinking and taking it to your blog for others to read. Answer: I remember of Gautam Buddha by reading your question. When a youth, in his 30’s he realized the sufferings of common people (“connect with surroundings”) that led to his path to enlightenment (“connect with self”). Also, Arjuna from Mahabharat who could was unwilling to fight his Guru Dronacharya and Bhishma (“connect with surroundings”), later reminded of his Karma & Dharma by Lord Krishna (“connect with self”) led him to seek justice on his side. I hope I have conveyed the answer. Though I am not a religious fellow, I had no better answer. Thank you. A person who doesn’t know himself can only pretend to understand others. Introspection first, then extrospection, else everything is retrospection. Truely said, we are social creatures and we can’t live without surroundings, if we are connected with surroundings, we feel happy, energetic and we go beyond ourselves. Connecting with ourselves is also important but don’t leave urself in silo’s. Neither! It is good to throw out the idea there is a separation between self, others and surroundings and see the unity in everything around us. Connect with the surrounding is more important. We are always connected with ourselves, it is just that we operate on the basis of our perception about surroundings, which is a gamble. The more flexible and empathetic we are with our surroundings, the more we learn and improve ourselves. Connecting with our surrounding is not only more meaningful but more important as well. It makes ones journey of life more meaningful. I would say, ‘Connecting with self’ is something which is a must all the time. That cannot be done at the cost of ignoring the surrounding. If we see history, we can make that many of outperforms (be from any field, science/spirituality etc.) are those who somehow manage to connect with surrounding while being connected to self. Then only they were able to mark their footprint before they left this mortal world. In our over-connected world, disconnecting can sometimes be a better choice! When we born, as a child we all are source of happiness to everyone. every action of child, his talk in tongue, spreads joy. As we grow, naturally we start establishing our connection with outer world. Some with good parenting, conductive environment, good education learns the art of establish outer world connection keeping inner strings intact, they always have a child alive in them. There would be some who has lost their inner connect as they are so indulged in outer world for many reasons. In my opinion for the person with inner connect intact it’s very natural, effortless and most importantly ‘always’ possible to spread happiness. Other might need to put lot of efforts to do so, which is not possible ‘always’. Sir, I think a person needs to be just himself/herself and that connects with self and surroundings. According to me, connecting with self is more important trait, surrounding might be an illusion. Everything is energy and everything is One! None of both, These 2 traits we talk about here, comes with a much greater subset which is called the will to bring smiles , and the dare to act weird at times and appear foolish to others , if it soothes your internal self and bring smile on someone’s face, I being Punjabi have always learnt to let things go if it bothers you much, and give your best forget the rest. because life is finite, but pain or love is not. as the song of Raj Kapoor My mom always hums while working says “Kisi ki muskurahato pe ho nisar” “Kisi ka dard mil sake to le udhar jeena issi ka naam hai” . If life is tough on you and you get tough on people life will be hell lot miserable, let it go. But you need that unique blend of being caring towards other person or sensitive towards their prospect of life and their pain and agony , and still not care of what they think. Have your rules of life clear and your heart clean and nature will take care of all he connections. In crux according to me Punjabis are always cheerful,Thus preety is cheerful. First of all , I would like to say Thank you so much for sharing this wonderful Story “Batting with a Star ” with us. Connecting with our self and connecting with our surroundings both are very important.they both are related to each other for cheerful life,if we want to enjoy and live cheerful life , We should connect to both. In the first place, I want to appreciate your writing; I could not stop in between and drift away from reading your blog. In the perspective of this connection with us and our surrounding, I think it relates to our personality. A humble and self-motivated person always appreciates the things which other people might seem to be neglecting. As we grow up, we have this fascinating urge to please everyone and to be liked by most of them. But is it really that important! ‘Being you’ is the most significant aspect, in my view. That way we need not make any extra effort to make a good connection with us or our surrounding, it just happens unnoticed!!! I think “Connecting to Own self” trait is more important than “Connecting to surrounding” As a person who is already connected to his\her ownself finds it real easy to get connected with the surrounding. This is because person who is not connected to ownself is a Lost soul & may face challenges connecting to the surroundings. Connecting with innerself is most important, and for sure Pretty knows it pretty well, if one is happy and content from inside, outside will be just it’s reflection (positivity, cheerfulness, kindness, humbleness etc.). If your inner being is content and calm, you would find zillions of pretty vibes coming out of you that would be enormous source of happiness for others in your company. I feel that letting our inner soul get connected with every bit of our surroundings makes life beautiful . That gives ourselves a chance to be a better human being every day by seeing and learning from the positive things around us . And once we are filled with positivity, we can spread that further to make this world even more beautiful , peaceful and harmless . In my opinion, these are personality traits. One can’t teach anyone, not even oneself to be jovial and cheerful. And these traits are also dominated by community one belongs to. I have found Punjabis in general to have a cheerful disposition. They are the types who live in the moment. One can decipher this trait of theirs by looking at their history. Punjabis have gone through some of the most testing times and they have overcome each of them and came out stronger. How could they have fought those testing times had they not been positive in their outlook.